A welcoming group of artistic souls from South Coast, Massachusetts. Created for the love of art and community. 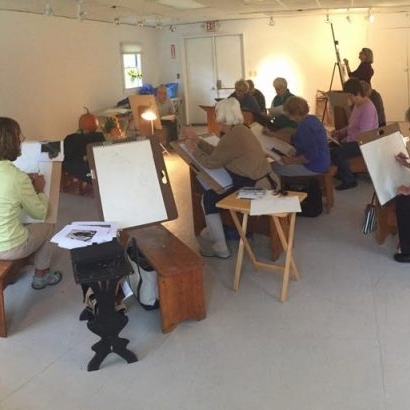 Westport Art Group was formed in 1955 by a small group of local, art-minded women. Since then, we have grown into a robust and colorful community organization approaching 250 members from all over South Coast, Massachusetts, southern Rhode Island, and beyond. At our active Main Road, Westport Point building, we offer both adult and youth art classes and show events throughout the year, many of which are open to the public. We are a 501(c)3 organization. 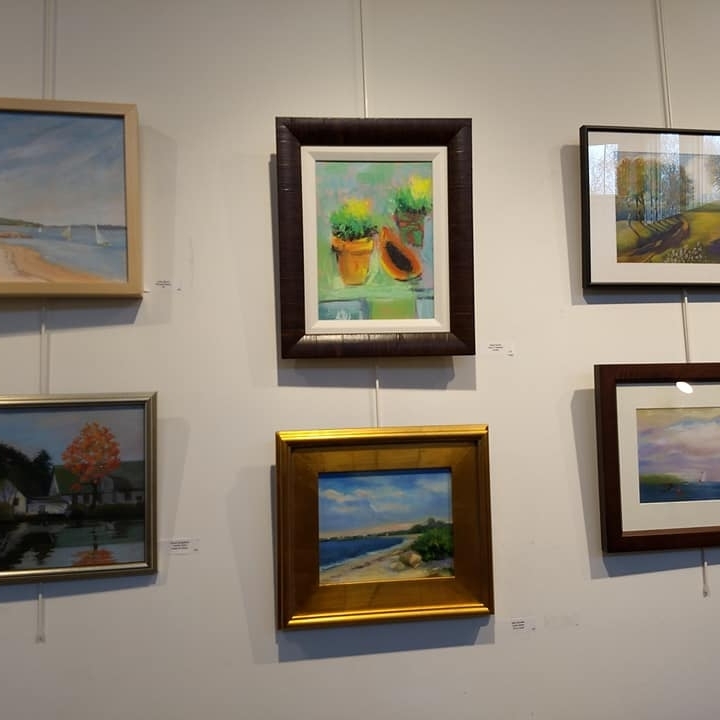 Westport Art Group is greeting the Spring as the awakening terra firma greets our community: with an exhibit of “Blooms!” – every kind of bloom in any location, from garden to bonnet, bouquet to flowered woods. An opening reception will be Sunday, April 28, from 5:30 to 7:30 pm. The exhibit runs from April 27 to May 12, 10:00 am to 4:00 pm, on Tuesdays, Wednesdays, Thursdays, Saturdays, and Sundays. Join us in the main gallery at 1740 Main Road, Westport Point, MA 02791. Free and open to the public! For Call to Artist details, please see Events. Saturday Workshops ! Online Registration is now open. We are excited to announce that online registration is now open for several new one-day workshops, and both members and non-members alike are welcome to join in. Learn more about these informative and enjoyable one-day workshops on our Education page! It is time to renew your Westport Art Group membership and/or update your membership profile. Our membership year begins on June 1, 2019 and runs until May 31, 2020. Your continued support is greatly appreciated. Thank you for your membership, donations, participation, and volunteer work. Please read the Letter from our President, Peter Lenrow, on the Membership page for information on our efforts and activites. You will receive this letter in the mail, along with a registration form, shortly. You may also renew your membership online on the Membership page: Join Us! Students attending Westport High School, Dartmouth High School, Tiverton High School and the children or grandchildren of Westport Art Group members who intend to pursue a higher degree in Visual Art are eligible to apply for a Westport Art Group Scholarship. WAG offers two $1,500 scholarships annually. The scholarship application is due by April 15, 2019. For more information, please see the Youth page. Registration is now open for art camp 2019! Art Camp at The Westport Art Group is appropriate for children ages 6 (entering grade one) through 11 years. Please see the Youth page for details and to register.